This is the pedestrian street and the tree you see on the right was planted in memory of Yitzhak Rabin. 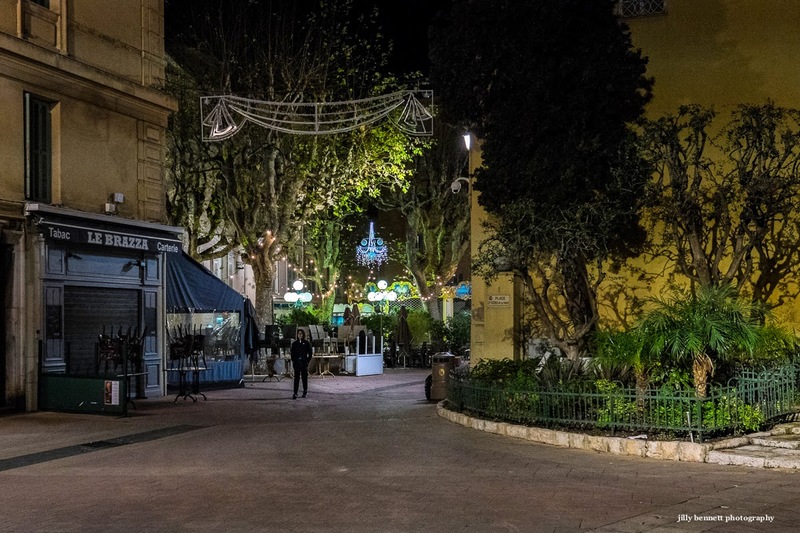 I loved this time of night at this time of year when I lived in Menton. We would often be the only ones out coming home from Le Stanley on cold (for Menton) winter nights. Their fish soup was the perfect comfort food on such occasions. A little Limoncello did not hurt either! And, as I write this, America's streets are empty and many restaurants are closed. That's because the Stupid Bowl is in progress. Carolyn and I ignore it. She just made a superb dinner.